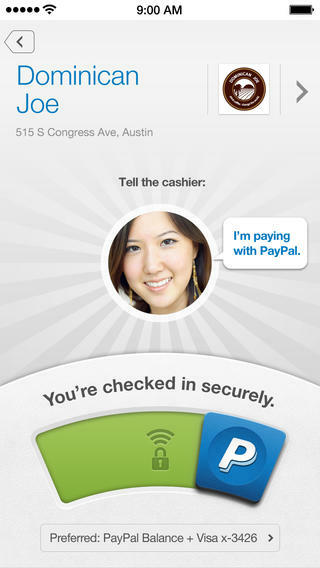 Paypal released the latest update to its iOS app incrementing it to version 5.4. Paypal is the safest way to pay online and with this app, Paypal have introduced some new security changes using which you can now link your phone to your PayPal account to make sure you are the one making transactions on your PayPal account. The upgrade also includes accessibility improvements for smoother in-store payments along with new features for PayPal Smart Connect customers who will now be able to see their available credit in the Wallet and use it as a preferred mode of payment in stores. Check out our new features, security upgrades. Bigger! Better! More! If you are an avid PayPal user, I would strongly recommend upgrading the app and attaching your phone to your PayPal account as any security feature that is introduced in a payment platform is a must-have. Do let me know if you have upgraded already and if you like the upgrade! Next post: This is How Flappy Bird Creator’s Next iOS Game Looks Like! This is How Flappy Bird Creator’s Next iOS Game Looks Like!